Archaeological Reconstruction, Exhibit Design, Museum Models. 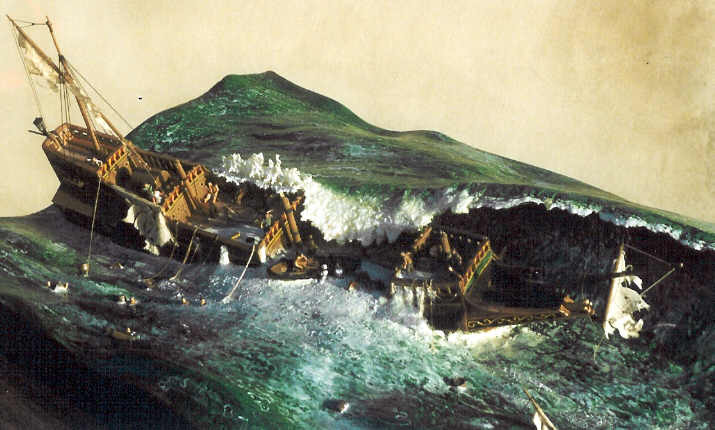 A shipwreck is one of the most emotive of historical images. A well presented model can convey the desperation, tragedy and helplessness of the event like no other medium. 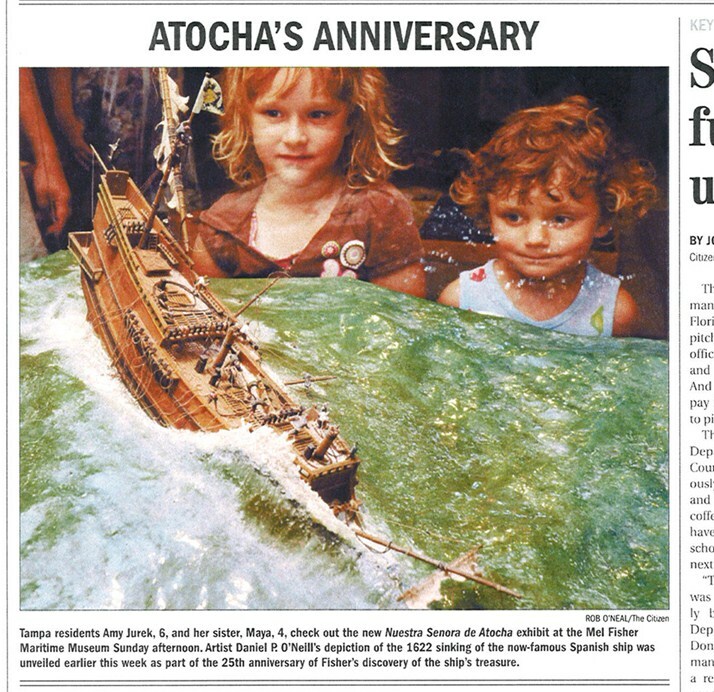 Model showing the last moments of the Spanish treasure galleon 'Nuestra Senora de Atocha' built for the Mel Fisher Museum in Key West. (left and above) In 1860, the slave ship 'Peter Mowell' ran aground on Lynyard Cay in the Bahamas. The unfortunate human cargo scrambled to shore as the ship tore itself apart on the jagged coral. 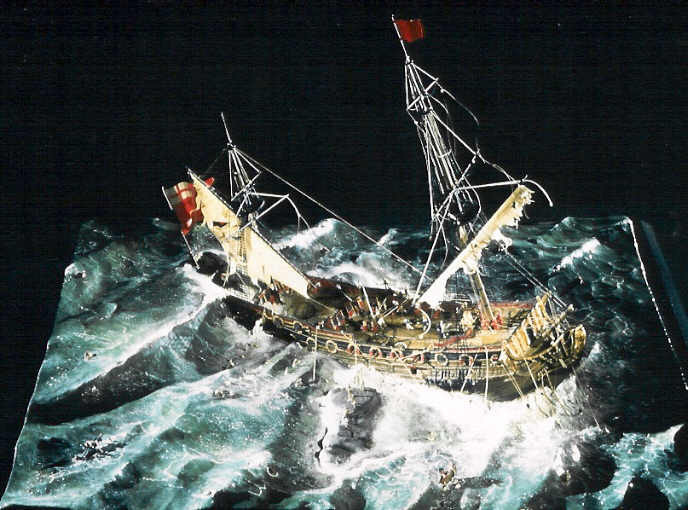 They were rescued by Bahamian salvors and eventually set free when they reached Nassau. Built for the Museum of the Bahamas in Nassau. (right and below) Under construction. 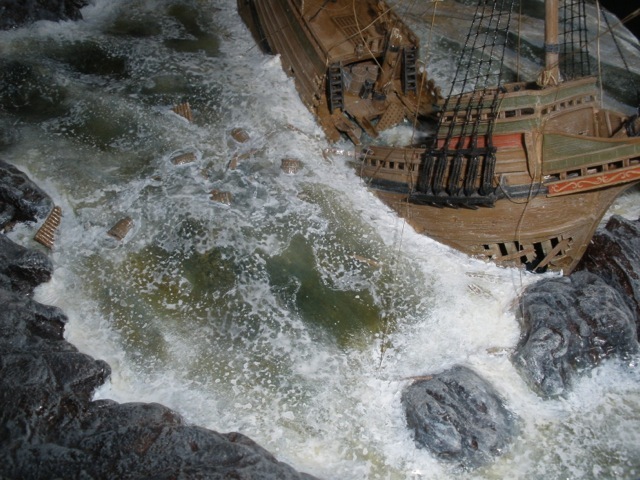 A model of the wreck of the "Morning Star' A British merchant vessel that went aground off the southwest coast of England in 1635. Scale 1/80. Built for a collector in Maine.